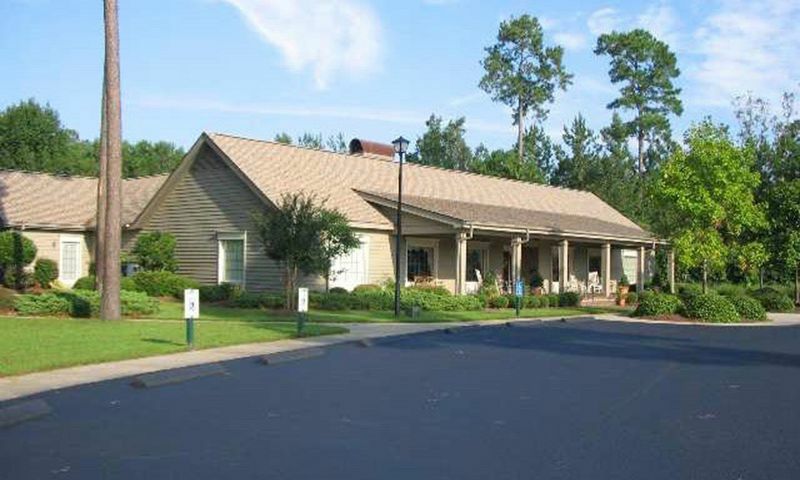 Spring Forest is a 55+ community located in Murrells Inlet, South Carolina. This scenic active adult neighborhood contains 126 single-family homes available on a resale basis. Spring Forest contains amenities to keep residents socially engaged and physically active and provides several ways to keep your calendar full. Located just south of Myrtle Beach, Murrells Inlet gives residents endless opportunities to enjoy the unmatched South Carolina environment and climate. With low-maintenance single-family homes in an incredible area, Spring Forest is sure to please active adults in Coastal South Carolina. At the center of the community is the clubhouse, where residents gather to mingle and stay in shape. An exercise room is available for homeowners to maintain a fitness regimen. For socializing, neighbors can meet in the game room for an impromptu gathering. Bookworms will also love having a library on hand for discovering a great new novel. Venturing outdoors, residents are greeted with a pool and patio to enjoy the warmer months. Scenic ponds wind throughout the community, creating a picturesque backdrop for evening strolls. Residents also love not having to pay expensive storage fees because Spring Forest provides R.V. and boat parking. Developed between 1985 and 1994 by Paddy-Son Development, Spring Forest now contains 126 beautiful single-family homes. These residences range in size from approximately 1,056 up to 1,800 square feet and offer two or three bedrooms, two or three bathrooms, and an attached one-car garage or carport. Homeowners love coming home to hardwood floors, abundant cabinet space, private patios, vaulted ceilings, and Carolina rooms situated on large wooded lots. Spring Forest places a premium on social interaction with a well-equipped clubhouse where residents gather for formal events or an impromptu gaming session. Neighbors also love relaxing by the pool to catch up with friends. The homeowners' association (HOA) also makes sure that everyone has more time to do as they please. The low HOA fee covers lawn mowing, trash removal, common area maintenance, as well as R.V. and boat storage. Spring Forest is located in Murrells Inlet, South Carolina. For everyday shopping needs, the Inlet Square Mall is just around the corner as are several restaurants and a Walmart Supercenter. Highway 17 is just outside of the community for traveling across the state, for farther travel Myrtle Beach International Airport is just ten miles away. Tidelands Waccamaw Community Hospital is just down the street from Spring Forest. Just minutes away from the community's gates is Myrtle Beach and miles of white sand beaches along the beautiful Atlantic Coast. Golfers love having three golf courses within walking distance including Indigo Creek Golf Club, International Club Golf Course, and Indian Wells Golf Club, as well as dozens more that are within driving distance. The area is also home to Waccamaw National Wildlife Refuge for those who love outdoor recreation. Spring Forest has a highly desirable location along Coastal North Carolina, making it an in-demand active adult community. Check back soon for more information on the lifestyle in Spring Forest. Spring Forest contains 126 beautiful single-family homes. These residences range in size from approximately 1,056 up to 1,800 square feet and offer two or three bedrooms, two or three bathrooms, and an attached one or two-car garage. Homeowners love coming home to hardwood floors, abundant cabinet space, private patios, vaulted ceilings, and Carolina rooms situated on large wooded lots. Please Note: Floor plans are not available at this time. 55places.com is not affiliated with the developer(s) or homeowners association of Spring Forest. The information you submit is distributed to a 55places.com Partner Agent, who is a licensed real estate agent. The information regarding Spring Forest has not been verified or approved by the developer or homeowners association. Please verify all information prior to purchasing. 55places.com is not responsible for any errors regarding the information displayed on this website.